Ina Coolbrith loved words, and she wasn’t afraid to use them. When she got angry with her friend John Muir for setting her up on a disastrous blind date, she “rhymed him” as punishment, with 75 lines of humorous verse. There was, however, one aspect of her life she was obligated never to reveal in any form: who her family was. Josephine Donna Smith was born in Nauvoo, Illinois, the youngest of three girls. Her father, Don Carlos Smith, was the brother of Joseph Smith Jr., founder of the Church of Jesus Christ of Latter-day Saints. Don Carlos died when Coolbrith was five months old, and when she was two, a sister died. That left her mother, Agnes, with two mouths to feed and very few options. William Pickett was a lawyer and owner of a printing press in St. Louis. When Joseph Smith was murdered, he ventured north to get the story of violent anti-Mormon sentiment first hand. He married Agnes and moved his new family to St. Louis where they welcomed twin boys. For their safety, Pickett had one requirement of his new wife. He extracted a promise that Agnes and the children forget their past and keep it a secret for as long as they lived. THE PROMISED LAND Gold rush fever tempted Pickett to move to California, so in 1851 he loaded the wagon train and headed toward sunshine and promises. They set up their first home in Marysville, north of Sacramento, to be near the gold mines. When they got exasperated with their lack of luck, they moved to the burgeoning city of San Francisco. In 1855 their house was robbed and then burned, so they uprooted themselves again and moved to Los Angeles. In the pueblo of Los Angeles, Coolbrith, 14 years old, did something she’d never done before: go to school. She enrolled in the girls’ department of the first public school when it opened in 1855, and attended classes for three years. The rest of her education was home study or from reading the classics in her step-father’s extensive library. She showed an aptitude for writing poetry when she wrote her first English composition in verse. She explained to the teacher that she thought it was easier than writing in a narrative style. When she was 15, she had her first poem titled “My Childhood’s Home” published in the Los Angeles Star. When Coolbrith was 17, she married Robert Carsley. He turned out to be a jealous, abusive man, and Coolbrith filed for divorce three years later. The young woman received a lot of support during her marital problems, but there was one burden she carried alone. She had a baby that died in infancy. The existence of this child was never discovered until after Coolbrith died. Like every young girl, she dreamed of being a wife and mother, but those dreams were dashed by the time she was 20 years old. STARTING OVER In order to make another fresh start, Coolbrith and her family moved back to San Francisco. Perhaps as a way to reinvent herself or to create a nom de plume, she started using the name Ina Donna Coolbrith (her mother’s maiden name). She got a job as an elementary English teacher, wrote and published poems and became friends with some important people of letters including Bret Hart, Joaquin Miller, Samuel Clemens (Mark Twain) and Ambrose Bierce. Coolbrith had many poems published in the prestigious Overland Monthly, and she was asked to write the commencement ode for the 1871 graduating class of the University of California at Berkeley, the first woman to be accorded this honor. The verse entitled “California” was a love letter to her adopted state. In 1872, the all-male Bohemian Club was founded as a place for authors, artists, musicians and patrons of the arts to congregate. Since they were women, Coolbrith and Mrs. Margaret Bowman made the curtains for their first location. A few months later, acknowledging that although qualified the only reason the poet was not admitted into the club was because of her gender, the group elected Coolbrith and Bowman as their first honorary members. GETTING A JOB Within two years Coolbrith’s life was affected by two major events: her mom died and she was hired as the librarian of the Oakland Free Library with a salary of $80 a month. Her young nephew and niece were hired as first and second assistants respectively. Despite having a limited education, she was responsible for acquisitions and created the first catalog. But she got the most pleasure out of advising young people in what to read. Two students who never forgot her caring, supportive advice were Jack London and Isadora Duncan. In 1881 the first anthology of Coolbrith’s poems, A Perfect Day, was published. She found the time to continue to write until there was conflict at the library. Over a period of ten years, the new Board of Directors made changes that seemed to be motivated by removing the head librarian from her post. During that time, Coolbrith’s professional life was not all difficult. In 1886 she helped to establish the first Arbor Day in California, and a branch library in Oakland was named after her. But behind her back, her nephew was gaining more responsibility directly from the library Board. Ultimately, Coolbrith made have inadvertently caused the ax to fall on herself. She gave an interview to a reporter of the Oakland Times illuminating some of the problems with the library. Three weeks later the headline announced that Coolbrith was fired without cause with only three day’s notice. Support for Coolbrith was widespread, and newspapers from Seattle to San Diego wrote editorials denouncing the decision. The public’s affection for Coolbrith never diminished, and her lectures on early California writers were well attended. When she was 57 years old she was hired as the head librarian at the Mercantile Library of San Francisco and held that post for one year until the Bohemian Club offered her a part-time position as librarian. Even though it only paid $50 a month, she accepted to have more time to write a book based on her lectures. In 1906 Coolbrith was confined to bed with rheumatism. When the earthquake hit at 5:00 am on April 18, she and her live-in housekeeper had just enough time to gather up the two cats and evacuate. Later that morning, the fire that ultimate destroyed most of San Francisco engulfed Coolbrith’s house and burned all her manuscripts, correspondence with famous authors and books. HONORS AND ACCOLADES Coolbrith bounced back and served as president of the Congress of Authors and Journalists at the Panama-Pacific International Exposition held in San Francisco in 1915. During the event she was named the Poet Laureate of California and was presented with a symbolic crown of laurel leaves. It was an honorary title, with no stipend attached to it. It wasn’t until four years later that a resolution was filed with the California Secretary of State making the commendation official and giving Coolbrith the distinction of being the first female poet laureate in the United States. The poet received other honors both personal and professional. Luther Burbank named a hybrid poppy “crimson eschscholtzia Ina Coolbrith” after her, and in 1923 Mills College awarded her an honorary Masters of Arts degree. In February 1928, Coolbrith fell into a coma and died a few days before her 84th birthday. The woman who was born to a Mormon family and married by a Methodist minister was laid to rest by an Episcopal priest. A young man named Jesse Winter Smith attended her funeral. Coolbrith had told him years earlier that she was not embarrassed by her Mormon background and he could reveal it after she died if he wanted to. He did, and a story appeared in the New York Sun and all the Bay area papers making the connection, bringing Ina Coolbrith’s life full circle. QUESTION: If you only had a few minutes to evacuate from a fire, what would you take with you? 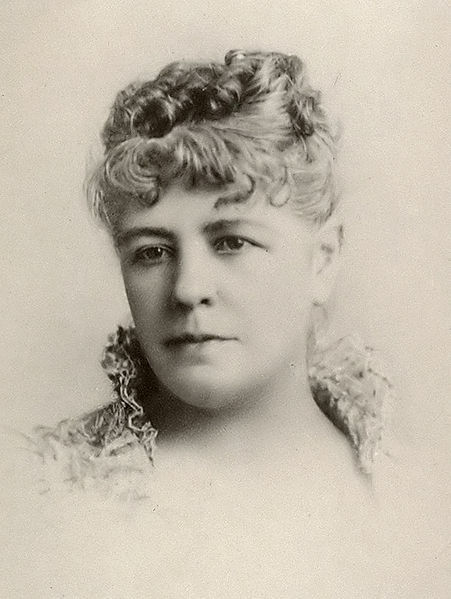 Rhodehamel, Josephine DeWitt, Ina Coolbrith, Librarian and Laureate of California. Provo, Utah: Brigham Young University Press, 1973. 1Conmy, Peter Thomas, “The Dismissal of Ina Coolbrith as Head Librarian of Oakland Free Public Library and a Discussion of the Tenure Status of Head Librarians.” Oakland, California, Oakland Public Library, 1969. Mary Seacole believed that when someone wants to minister to the needs of others, she should be able to do so without interference. So when she was headed to Crimea during the war to help Florence Nightingale nurse sick and wounded soldiers, she was determined not to let racism deter her from her mission. A native of Kingston, Jamaica, Mary Ann Grant’s father was a Scotch army officer. Her mother was a local healer who owned a boarding house and treated military officers and their families. That didn’t seem to be a place for a child, so Seacole lived with an older lady and her grandchildren. She often hung out with her mom, however, and played doctor with her dolls and the neighborhood pets. When her nanny died in her arms, Seacole moved back in with her mother and learned her Creole medicine techniques. As her life unfolded, it’s evident that Seacole derived her greatest inspiration from that relationship. Seacole remained single until she was 31 years old when she married Edwin Seacole, a Brit. They opened a store in Black River, Jamaica, but after eight years of marriage they had to move back to Kingston for Edwin’s health. He died one month after their return. To compound Seacole’s grief, her mom died, and she assumed responsibility for the hotel, using work to cope with her loneliness. Seacole’s stubbornness was one of her best and worst qualities. In 1843 there was a devastating fire in Kingston which burned down Seacole’s house. Defending it almost cost her her life because she didn’t leave until it was in flames. She rebuilt and continued to live alone despite many potential suitors. A cholera outbreak in 1850 gave her the opportunity to practice the healing skills she had learned. FOLLOWING IN HER MOTHER’S FOOTSTEPS Finally needing a change, Seacole went to Cruces, Panama to visit her brother. Her experience had prepared her well to deal with the cholera epidemic that hit shortly after she arrived. The only medically trained person who lived in the area was a dentist, so it was left to Seacole to diagnose and treat the afflicted. She did save many patients, but the number who died was still devastating. The most difficult death for her to deal with was an infant who died in her arms. Seacole snuck to the gravesite of the baby before it was buried and conducted her own autopsy in order to learn more about the disease. Seacole opened a restaurant where the Americans loved to hang out and drink copious amounts of tea and coffee. She took her brother’s advice to add a spoonful of salt after the sixth cup to curtail their intake. After a while she got bored and decided to return to Kingston. She bought a ticket on an American steamer, but because she was Creole she was told to get off the ship. This was the first time she personally experienced blatant racism. In order to keep the peace, the captain gave Seacole her money back, and she agreed to get disembark. Two days later she traveled home on an English ship. DETOURS ON THE ROAD TO HER DREAMS When she was 49 years old Seacole’s restless, adventuresome spirit took her to England, and she landed in London in 1854. The Crimean War was young, and she wanted to contribute her talents. She applied to the War Office to be a hospital nurse. She was rejected and told to apply to the medical department. That was also a dead end, so she changed her tack. She craftily found out the address of the Secretary-at-War, went to his house and waited patiently to speak to him. When he did deign to see her, the Secretary said there were no nursing positions available. Finally, she applied to the managers of the Crimean Fund to do anything that would get her to the war zone. Even that didn’t work. The obvious racial prejudice with which she was treated made her even more determined. Seacole had one more option. 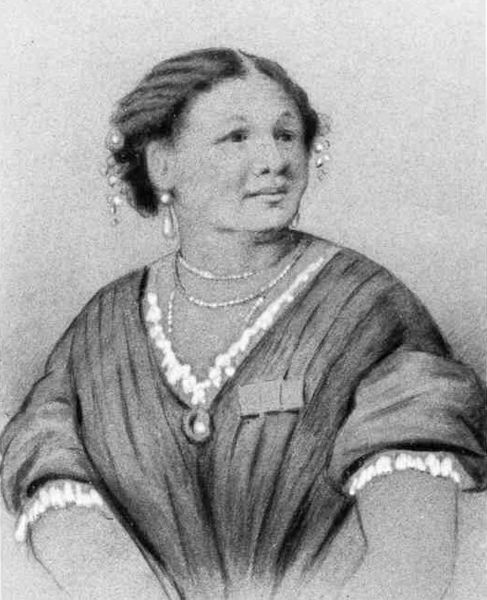 She and Thomas Day, a relative of her husband, created a partnership, Seacole and Day. They planned to open a store and hotel in the area near the military camps in Balaclava on the coast of the Crimea, a peninsula at the southern part of modern-day Ukraine. FULFILLING HER DESTINY En route from England, Seacole’s ship had a layover in Scutari, Turkey for one night. She needed a place to sleep and wanted to be of service as well. Florence Nightingale worked at a hospital there. Seacole had a letter of introduction from a friend in Kingston to give to Nightingale. When she was finally ushered in to meet Nightingale, she was not exactly embraced as a colleague. Nightingale suggested that the only available bed was next to the washerwoman. Seacole and her roommate got along great and talked for hours. The bed itself was less accommodating as it turned out to be a flea infested couch, and Seacole was eaten alive during the night. In Balaclava, Seacole and Day built the British Hotel which included an apartment for each of the partners, a general store and stables for the animals. A war zone is a dangerous place even for civilians. Thieves, led by the night watchman, stole 40 goats and seven sheep during one night, and dozens of horses, mules, pigs and chickens over time. The rats were huge and one attacked a cook while she was sleeping. But none of this deterred the proprietress from her purpose: to serve the British army. “Mother Seacole” was not shy about going to the front lines if necessary to tend to wounded soldiers. The allied army planned to attack the Russians at Cathcart’s Hill. Seacole made sandwiches, packed up food, drink and medical supplies and on horseback led a caravan of two pack mules up the hill to the camp three and a half miles away. She cared for their physical needs in as many ways as possible. Since water was in short supply, she had to wash her hands in sherry. When bullets whizzed by overhead, Seacole hugged the ground until she got the “all clear.” Once when she was protecting herself, she dislocated her thumb, which she never bothered to set. Seacole didn’t discriminate when it came to helping the needy. In addition to British soldiers, she helped French, Sardinians and even some Russians into ambulances so they could get proper medical treatment. One Russian thanked her by taking off his ring and giving it to her as he was being lifted into the vehicle. LIFE AFTER WAR It was both a positive and negative thing when the Crimean War ended in February 1856. The area was evacuated so fast, that Seacole and Day lost all their business virtually overnight. Russians raided the British Hotel which made Seacole furious. In a desperate act, she smashed the crates of wine, wasting it instead of letting the enemy enjoy their booty. Upon returning to England Seacole and Day were forced to declare bankruptcy, and the war finally took its toll on Seacole’s health. Several prominent people contributed to funds to help Seacole and her partner become solvent. She wrote her autobiography describing her adventures and raised enough money to get out of debt. During the final years of her life she worked in London as a masseuse and confidant to members of the royal family. Seacole died in 1881 with an estate of over £2,500. QUESTION: Have you ever been discriminated against? How did you handle the situation? Manuela Sáenz would learn very early in her life that marriage was not as important as love. Her mother, Joaquina Aizpuru, was not married when she became pregnant with Sáenz, the result of an affair with a family acquaintance in a higher social class. To avoid the humiliation of such bad judgment, Aizpuru was sent away to keep her pregnancy secret, and forced to relinquish her daughter to the care of nuns in a convent in Quito. She died by the time Sáenz was seven. Simón Sáenz de Vergara was a wealthy businessman and successful politician with a wife and six children. A scandal could have ruined his life, but to his credit, he acknowledged Sáenz, paid the one thousand-peso dowry for his daughter to be given a proper upbringing in the convent, and introduced her to his legitimate children, giving her life some family context. Sáenz’s father took responsibility for his daughter’s future by arranging a marriage to a much older, wealthy Englishman, and the newlyweds moved to Lima. As a young wife, Sáenz socialized with Peru’s social, political and military elite. She became sympathetic to the rebel cause, and against her husband’s orders, she joined the patriots to liberate Peru from the tyranny of Spain. For her involvement, Sáenz received the Order of the Sun, an award given to those who made an exceptional contribution to the campaign. Her appetite for political adventure having been whetted, Sáenz left her husband and moved back to Quito in 1822. She unapologetically abandoned her marriage in a time when women had few options in life. There Sáenz met Simon Bolivar, “El Libertador” of South America. Back in her hometown, Sáenz again immersed herself in the independence movement. Bolivar was to parade through town to celebrate victory in the battle that gave Quito independence. On a fateful day, Sáenz’s participation was not militant. She had the decidedly female job of beautifying the homes along the parade route to make a good impression on the esteemed soldier. That evening, the two met at a reception and began their legendary love affair. FOLLOWING HER HEART At first, Sáenz was assumed to be another notch on the belt of a great womanizer. As scandalous as their affair was, the couple had an immediate deep, passionate connection. When Bolivar left Quito, Sáenz did not retreat back to her family, or even her marriage, as a spurned lover. She followed him and integrated herself into his life. Sáenz and Bolivar’s romantic partnership could not be distinguished from their political alliance. She became the official keeper of Bolivar’s personal archive, guarding his private papers and personally maintaining the secrecy of the army’s military strategy. Her commitment to the cause superseded any fear she may have had of battle. Sáenz organized troops and rescued and nursed those injured on the battlefield. In one letter to Bolivar, Colombian General Antonio José de Sucre called Sáenz a hero for her contribution in the Battle of Ayacucho, and he recommended that Bolivar make her a Colonel of the Colombian army, which he did. This appointment was so controversial because Sáenz was a woman that, in an irate letter to Bolivar, Colombian Vice-President Francisco Paula de Santander accused him of nepotism. But Bolivar defended the bravery that earned Sáenz the recognition. WHAT SHE DID FOR LOVE When the wars for independence were over, Sáenz was 29, and she moved into Bolivar’s official residence. She was well known as his mistress, but her influence extended beyond the personal to the role of gatekeeper for those wanting to meet with Bolivar. And she didn’t need permission to act on his behalf. In 1827 in Lima, the conditions for the troops were so bad that the army officers threatened a rebellion that would totally undermine the new constitution that Bolivar had established. While Bolivar was away, Sáenz visited the soldiers wearing a colonel’s uniform and contributed money for food to dissuade them from being influenced by rebels with an ulterior political agenda. She was rewarded for her initiative by being arrested and expelled from Peru, but her commitment to Bolivar’s cause never wavered. 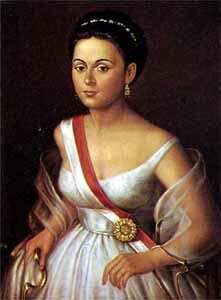 Sáenz not only dedicated herself to Bolivar’s political mission, but she was directly responsible for saving his life on at least two occasions. In August 1928 Bolivar was to attend a party that Sáenz was not invited to. She had received word that at midnight he would be assassinated, and she begged him to skip the event. He ignored her warnings thinking she was just jealous at not being on the guest list. At about 11:00, Sáenz showed up wearing a military uniform, but she was denied entry by the guard who turned out to be one of the conspirators. She made another desperate attempt to preempt the assassination attempt by dressing up in dirty rags like an old crazy woman. She positioned herself outside and yelled, “Que viva el Libertador!” (“Long live the Liberator!”) Sáenz’s behavior was becoming an embarrassment to Bolivar, so he left the party to reprimand her. At midnight, when the conspirators came to kill him, Bolivar was gone. Six weeks later, the couple was at home when Bolivar’s enemies entered the house with the same goal. Sáenz ran to the sleeping man, supplied him with a sword and gun and forced him to jump out the window. Bolivar resisted, instinctively wanting to stay and fight, but finally he trusted her judgment and left. When the would-be assassins confronted her, she said legitimately that she didn’t know where he was, and he successfully escaped. For this heroic effort, Bolivar called her “Libertadora del Libertador” (“Liberator of the Liberator”). Bolivar was a hero for emancipating South America from Spanish rule, but there was trouble in determining the governments. Bolivar proclaimed himself as the dictator of the Gran Colombia in August 1828 in an effort to save the unified republic he fought so hard to establish and maintain his leadership. That did not appease the insurgents in Venezuela and Ecuador. In 1830 he resigned and prepared to flee to Europe in self-imposed exile. He died of tuberculosis in Columbia before he could leave. A REBEL WITHOUT A CAUSE Sáenz’s association with Bolivar did not endear her to the incoming leaders, and she was exiled to Jamaica three years later. Even from a distance, she attempted to stay involved in the political process of establishing the boundaries between Colombia, Ecuador and Peru through correspondence. Over time, however, she became increasingly less relevant. Her final years were in stark contrast to the heady adventures with Bolivar. After an attempt to return to Ecuador was refused, Sáenz settled in a port city in northern Peru, selling tobacco and translating letters for North American whalers to send to their lovers in Latin America. She fell when the termite-eaten stairs of her home collapsed and became permanently disabled. In 1856, at 59 years old, Sáenz died during a diphtheria epidemic and was buried anonymously in a mass grave. Sáenz was eventually given proper respect for her role in South America’s liberation from Spain. On July 5, 2010 symbolic remains of her body along with soil from her original grave were reinterred next to the tomb of her lover and compatriot, Simon Bolivar. Venezuelan President Hugo Chavez and Ecuadorean President Rafael Correa presided over the ceremony at the National Pantheon in Caracas, Venezuela. QUESTION: What is the craziest or most daring thing you’ve done to show your love for someone?